So often when a patient enters my office, and during their case history the comment, “this just started and I don’t understand why” is made by the patient. For so many, they question how their condition(s) could have begun since they so often cannot recall any specific cause or incident, that in their minds could have “caused” the condition that they are seeking care for in my office. The truth of the matter is that unless you are involved in a very traumatic or very physical accident or event, you most likely will be totally unaware of how your condition(s) may have developed. Our society’s concept of health is partly to blame here. The notion “if there is no pain then you must be healthy” is ingrained into our minds from a very early age. For many Americans, we grow up seeking healthcare only AFTER a problem has manifested itself. The notion that disease or dysfunction of our bodies can be occurring at any given time, even in the absence of obvious symptoms, for some reason is not given the importance that it should. When asked directly, most people can either recall a friend or relative of theirs who “suddenly” was diagnosed with cancer, diabetes, heart disease or some other life threatening disease-while at the same time recalling how that very same person had no outward signs of illness leading up to the discovery of their condition. With the exception of sudden and forceful trauma as seen in more serious accidents, most of our health conditions are the result of ongoing dysfunction within our bodies that can take years and even decades to develop to the point of such outward signs or symptoms that would be finally recognized as a serious health condition. WE ARE THE PRODUCT OF YEARS OF SPINAL NEGLECT & DYSFUNCTION. It has been shown that 80% of us are born with Spinal SUBLUXATIONS. By the time we have reached the age of 7 the average child has been involved in over 2,500 traumas (OSHA Statistics). Factor in the emotional and physical stress of school (both undergrad and graduate), the stress/injuries of sports and other recreational activities, miscellaneous slip and falls, traumas such as car accidents or other more serious injuries, lack of exercise as we pass from our teens into our mid-life years, other miscellaneous “minor” traumas as we continue through our mid life years, and it is clear to see that there is an ample opportunity for our spines to SUBLUXATE and to allow interference to exist within our nervous systems. A very famous Medical study referred to as the “Windsor Autopsies” revealed pathological change to tissues and organs within human beings at each level of spinal SUBLUXATION. This study clearly demonstrated that SUBLUXATIONS create interference within the nervous system which leads to pathological changes of the tissues and organs that are innervated or controlled by each level of spinal nerves. 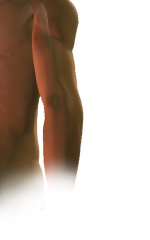 What is important to note is that pain need not accompany misaligned areas of the spine, which is why Chiropractors often refer to Spinal SUBLUXATIONS as the “silent killers”, since such disruptions of nerve flow decreases our health potential and gives rise to dis-ease and pathological changes within our bodies. It’s always amazed me when I observe human nature. We protect what we consider valuable. An example is your car. When the car is new we wash it regularly, make sure the oil is changed, vacuum the interior, and worry about parking lot dings and dents. As the novelty of the new car wears off, it may still get the occasional washing, but the excitement and the attention to detail often fades as time passes. The same concept holds true for so many other “things” or items that we own. In fact, yet we tend to ignore or put off maintaining the most valuable item that we possess, our own bodies. The concept of maintaining our bodies and striving for true WELLNESS, although often a desired goal, it is not one that most people approach in a fully effective manner. Case in point, even the most fitness minded enthusiasts, the people who work out regularly and try to drink plenty of water and eat right, if their spines are SUBLUXATED how can they be healthy? When you consider that your nervous system is responsible for EVERY function in your body, and that interference to the functioning of your nervous system due to Spinal SUBLUXATIONS will impair how your body functions and will lead to the inevitable “breakdown” or dis-ease, how could you just assume you are healthy with out undergoing periodic spinal evaluations? How effective can a person be who wishes to be truly healthy if they haven’t had their spine at least evaluated. For those who have been evaluated and IF problems were detected, how healthy do they hope to be if they put off having those spinal problems corrected through SAFE & NATURAL Chiropractic care? Regular Chiropractic care is an essential component of any Health or Wellness plan since it enables your nervous system to function properly and thereby enabling your entire body to function properly, and in turn affording you the opportunity to experience 100% of your Optimal Health Potential! Please explore our extensive collection of health reports and general information articles so as to gain the knowledge necessary for you to make the right health care choices for yourself and those you care about.